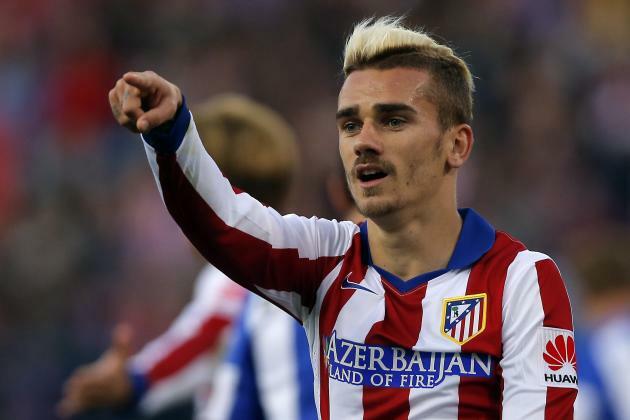 Spanish football expert Guillem Balague believes Manchester United won’t land the signature of Atletico Madrid forward Antoine Griezmann because the French international is being pulled in too many directions. Speaking to Sky Sports, he said: “Barcelona are convinced they have done enough to bring him. They are willing to pay the 100m euros of his buyout clause and he knows what they are willing to pay him. Barcelona’s interest could prove a stumbling block for United, as could Atleti’s persistence in offering a new deal. Staying in Spain would surely trump moving to England, as United could finish the season trophyless under Jose Mourinho. The Red Devils don’t need any more attackers either, with Alexis Sanchez, Anthony Martial, Jesse Lingard, Marcus Rashford and Juan Mata for options. Griezmann joined Atleti from Real Sociedad and has gone on to make 205 appearances in all competitions, scoring and creating 148 goals. The 27-year-old previously had a £176m release clause which warded off interest, but now he’s available for £88m and has two European heavyweights fighting for him. United and Barcelona are both desperate to sign the prolific forward this summer, although the Liga giants stand more chance of winning the race. Griezmann would be the third attacker in a potent trident containing Luis Suarez and Lionel Messi, in a division that’s seen him score over 100 goals.